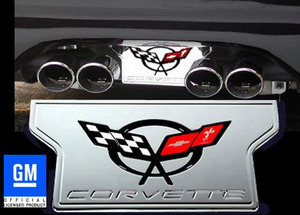 Buy your C5 Corvette a GM-licensed Exhaust Plate displaying the Corvette crossed flags logo for a look that shows your Corvette pride. 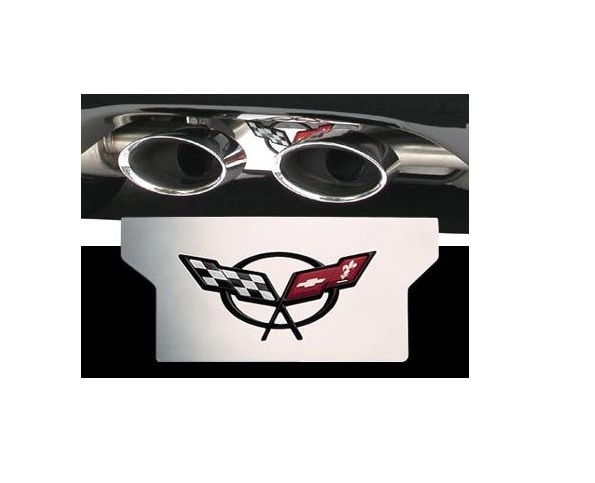 This 1997-2004 exhaust plate is manufactured from billet aluminum, then triple chrome-plated to show off an edgy, clean look. This plate is an inexpensive, yet high-quality look to fill the space between your exhaust pipes. The Installation takes about a minute with a simple peel-and-stick application after thoroughly cleaning the area. 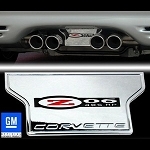 Save money while you make your 'Vette look good when you purchase this C5 stainless-steel Exhaust Plate.